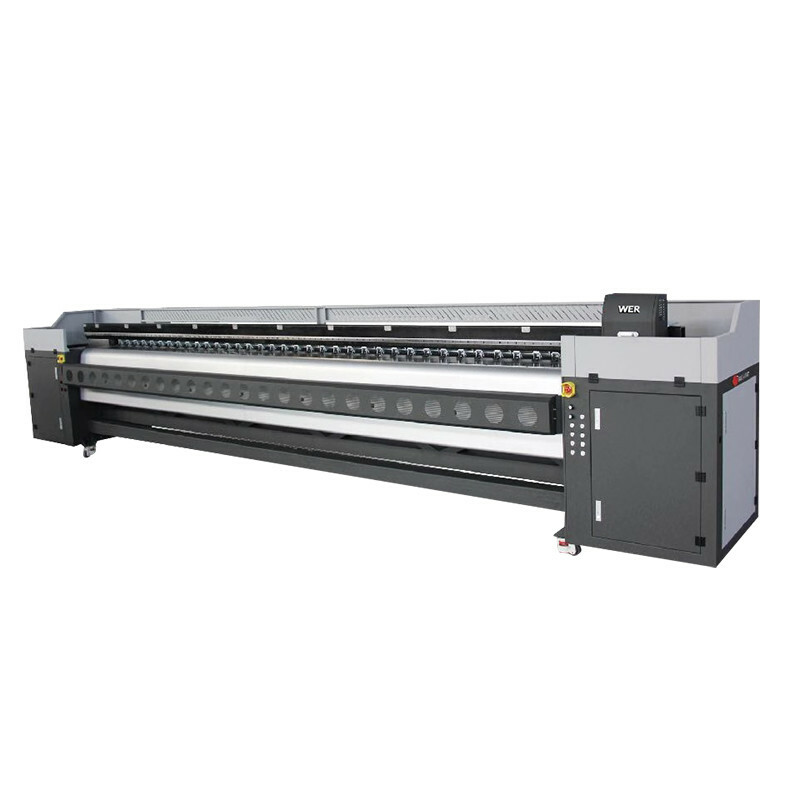 Available for printing 17.4 feet width materials, the WER-K5308I is the perfect high-performance production tool for creating colorful decals, labels, banners, posters, vehicle and floor graphics, apparel decoration and just about any sign imaginable. The 5.3m polaris WER-K5308I printer is the industry’s most versatile entry-level wide format color printer, combining CMYK 4 colors print, it offers print speeds can up to 120㎡/h. Other advanced features include automated maintenance, superior media handling. Printable material PVC Vinyl, Flex banner, Carpet Paper, PVC Mesh Fabric, Perforated Vinyl, Cloth Banner, etc. Operational software Maintop software, Photoprint software for Windows 98 and Windows XP Etc. Equipped with individual ink purge & cleaning function, 3 direction valve ensure easy operation & comparatively less ink consumption. 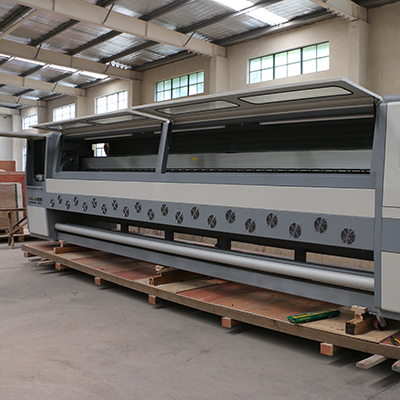 To meet the demand of large format solvent media and industrial use，WER has developed this this Polaris series solvent printer which has 5.3m in width. And also the printing stable performance goes up to a new level.